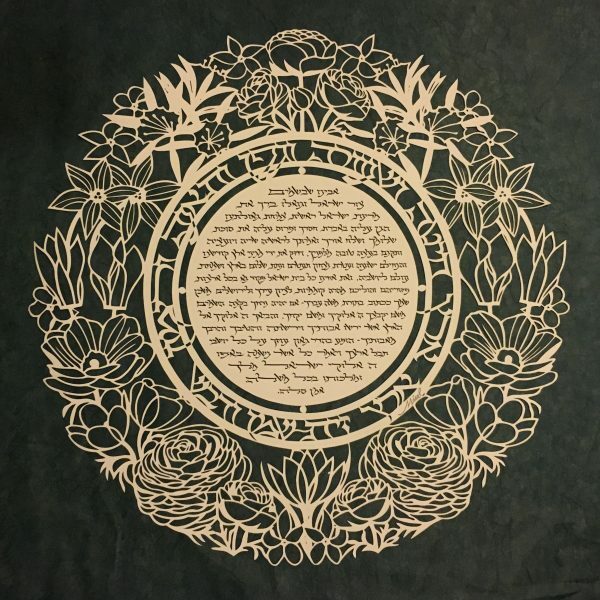 This papercut of the wildflowers of the Land of Israel will enhance any home! 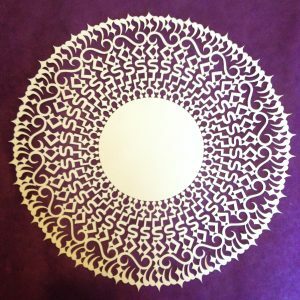 The design can be customized with any text that can fit the center space. 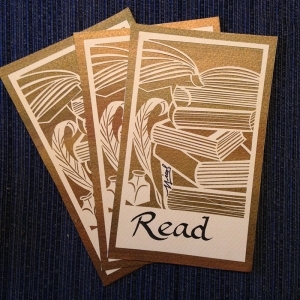 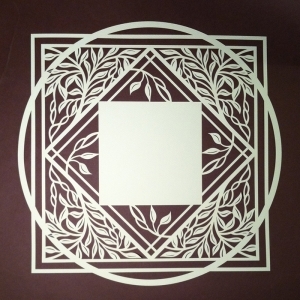 It will be mounted on a background color of your choice. 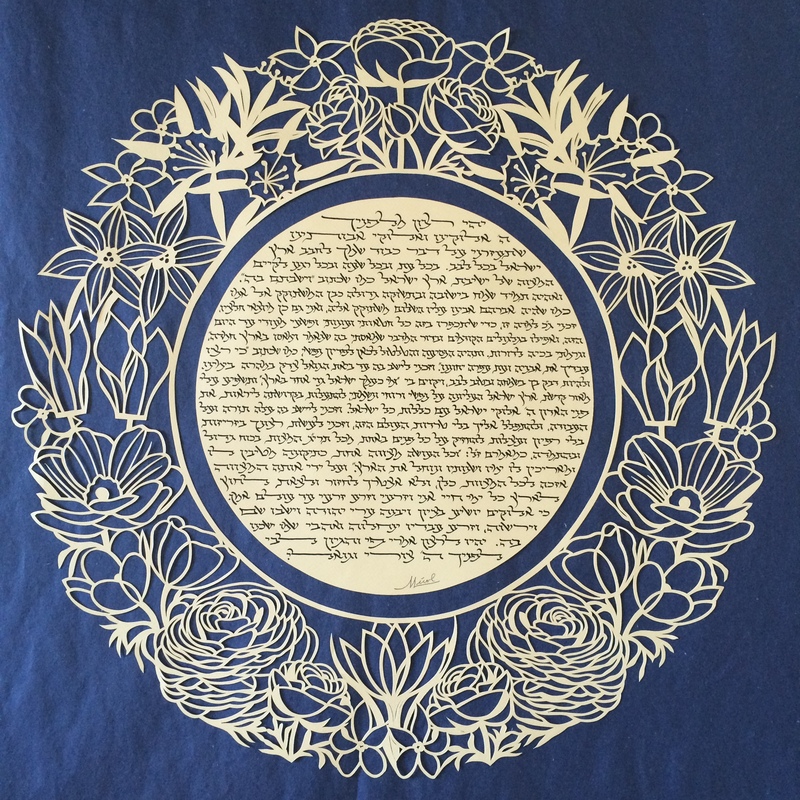 The papercut design is based on the beauty of the wildflowers that naturally grow in the Land of Israel. 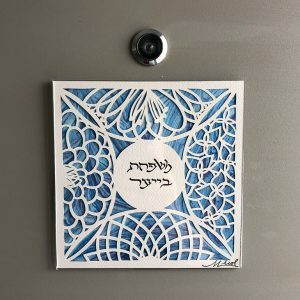 The symmetrical nature of this design represents the verse: Kmayim hapanim lapanim, ken lev ha’adam la’adam ~ Just as a person looks into water and sees his face reflected, so too one person’s heart is reflected in that of another.